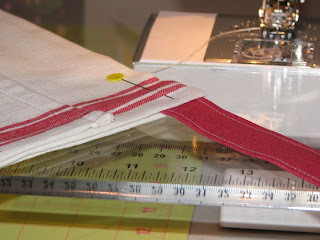 I thought I would give you a quick and easy tutorial on how to make an apron (like my moving apron) using a Tea Towel. 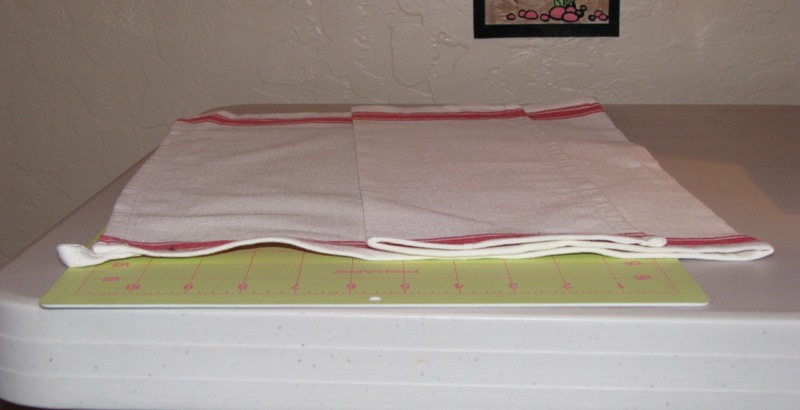 It is important that the towel be 18 x 27 inches or larger. Set that aside for now and move on to the ties. 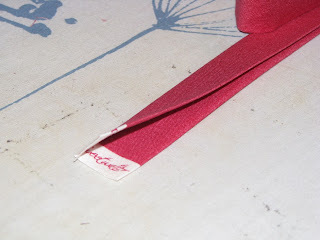 Cut 2 strips from your fabric 4 inches x WOF (width of fabric). Press in half with WST (wrong sides together) as shown in picture. Now open back up and fold each edge to the pressed seam - as shown. Next fold in half again and press. 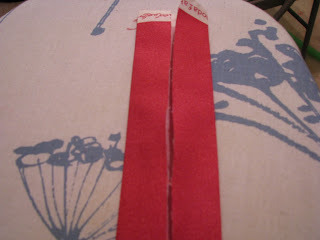 Stitch all the way around your ties using a 1/4 or 1/8 in seam allowance. 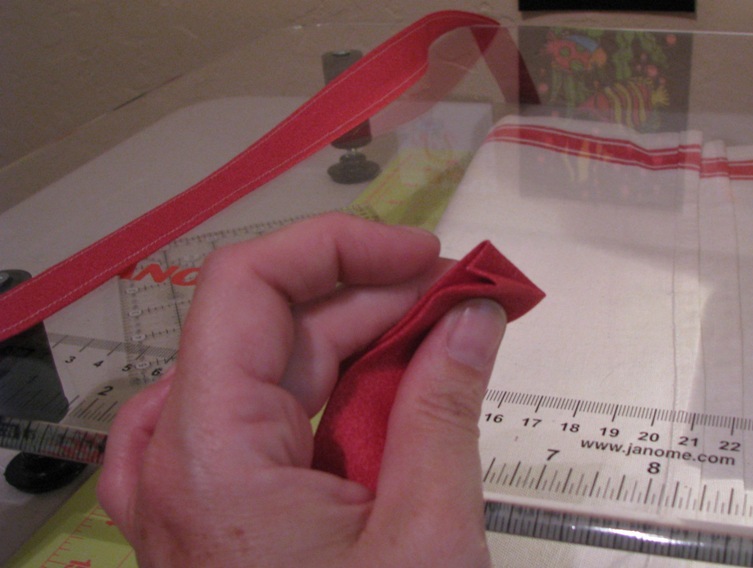 On one end of each tie, fold the end in 1/4 inch to create a finished end. You will have two ties that are 1 inch x WOF. 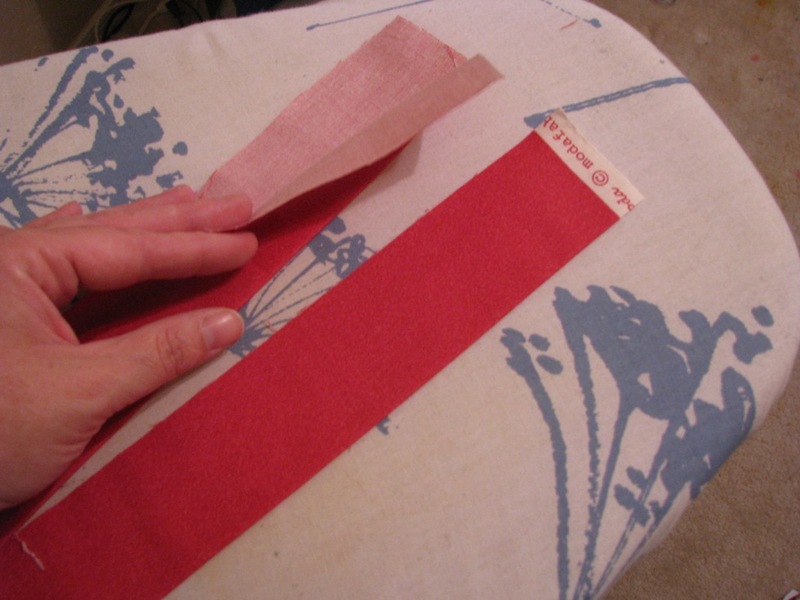 Insert one end (the unfinished end) of each tie into the fold at top of apron. Pin in place. 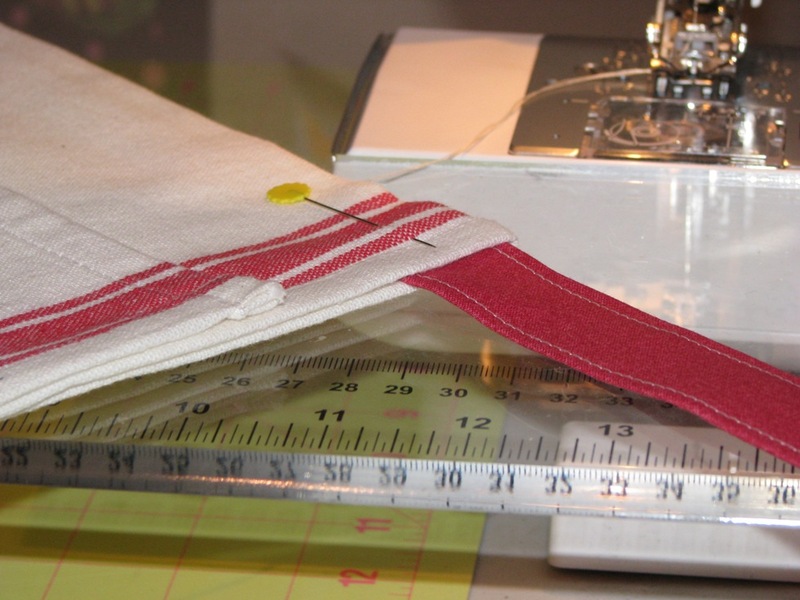 Stitch down each side, along bottom of pocket and top band of apron. 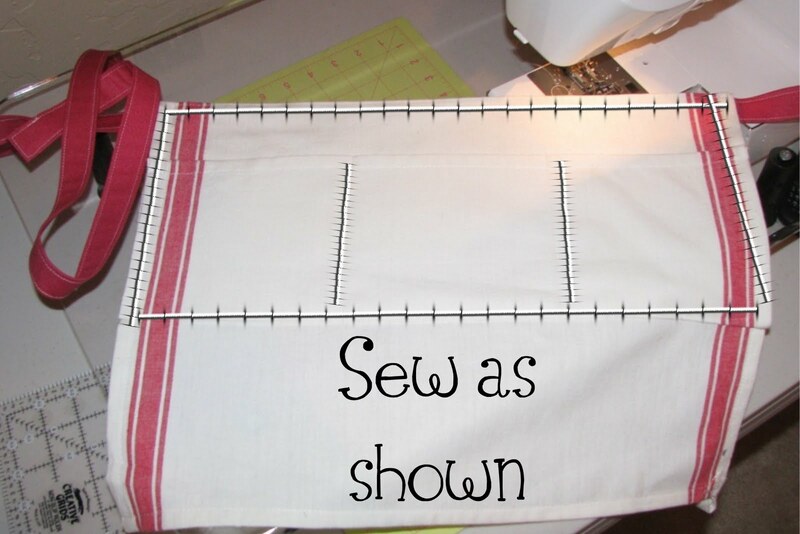 Then decide how many pockets you want and stitch those as well. I like it. 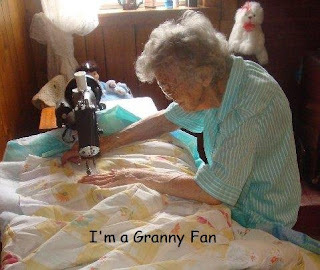 An I have a spare towel too! Thanks for the idea! That would work great for the 'stuff' I need in my pockets at craft fairs too! Thanks for sharing. I find great tea towels at the Dollar Store. Love your blog by the way and signed up to follow. If you have time, come on over to kiki-itssewkiki.blogspot.com and consider following too! FREE FABRIC!!! Yes.. it's true! Procrastination... I'm good at it. Boxes.. bubble wrap.. and cuteness! The Goofy goes on.. and on..